Just In – The Open Enrollment period for 2017 major medical health insurance coverage will begin November 1, 2016 and run through January 31, 2017. During this period of time anyone can enroll in a qualified health insurance plan or make changes to an existing plan. It is never too early to mark your calendar, save the date now! 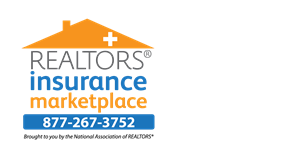 We are excited to announce the addition of two new products to the REALTORS® Insurance Marketplace platform! The first new benefit available exclusively to NAR members is Members TeleHealth, a telemedicine service plan that transforms your healthcare experience through online and on-demand access to a doctor via telephone, smartphone or tablet app, web chat, and/or email. Are you busy and don’t have time to wait for a doctor’s appointment? Perhaps you’re traveling, or your child is ill in the middle of the night. Skip the waiting room and see a doctor in minutes. Members TeleHealth provides you with 24/7/365 access to MDLIVE, a network of 2300+ U.S. Board certified physicians who can diagnose, recommend treatment, and prescribe or refill prescriptions* (when appropriate) for routine conditions. Telemedicine is one of the hottest new trends in digital medicine. Top companies have been making MDLIVE plans available to their employees as a time and cost saving benefit, and now busy REALTORS® have access to the same service! The second new member benefit we are excited to announce is the addition of Accident Deductible Protection to the Marketplace platform. This supplementary health plan is designed to be used in conjunction with a qualified major medical plan as part of a cost-savings strategy. Does your qualified Major Medical health insurance policy have a high-deductible, and are you worried about that high deductible? Many of you have increased your health insurance deductibles to lower your insurance premiums. Accident Deductible Protection is a great supplement to your Major Medical plan and can help by lowering the out-of-pocket medical expenses which can be incurred through accidental injury. Bonus! Accident Deductible Protection includes a complimentary subscription to Members TeleHealth. Click here to get a quote for Members TeleHealth and here for Accident Deductible Protection. * MDLIVE does not guarantee that a prescription will be written. MDLIVE does not prescribe DEA controlled substances, non-therapeutic drugs and certain other drugs which may be harmful because of their potential for abuse. ** Based on eligibility (age, active NAR membership, and state and territory availability).